We’re happy to announce that Elias & Grace will feature a great End Of Season Sale, commencing online on December 16th 2016. All kids and babies clothes & accessories will be reduced up to 70% off, with current Autumn/Winter items at a minimum of 30% off, including Bellerose, Hartford, Levis & many more. Our Sale is always loved by customers, generating additional traffic and conversions, and we’re sure your readers will be thrilled by this special opportunity. The Sale banners are now available on the platform. By referring traffic to EliasandGrace.com via banner ads, text links, product feeds and content units, you can earn commission of up to 8% on sales that you helped generate. For any further information do not hesitate to contact us at costanza@eliasandgrace.com or through the platform. It soon will be Festive Time and we can already feel the magic here at Elias & Grace. Christmas is always a unique experience and to make it even more exciting, we will celebrate the countdown with a very special Advent Calendar! Throughout December we’ll be treating our customers with amazing gifts and offers, from £500 gift card prize, free shipping and even the chance to win a look from our SS17 collections. This exclusive promotion is always loved by customers, generating additional traffic and conversions, so don’t miss out the opportunity to increase your earnings! 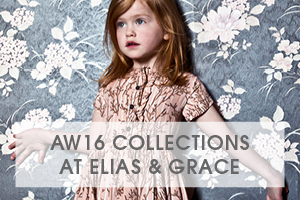 Elias & Grace – AW16 Season Is Now Online! Elias & Grace introduces the New Season Collections, with hand-picked edits from over 50 of the most covetable and unique designer kids brands, including Bellerose, Hartford, Bonton, Petit Bateau, Angulus and Pom D’Api. Autumn/Winter 16 comes with a super cute selection of NEW labels to love: must-have babieswear from the Danish label Gro & Japanese minimalism & fashion silhouettes from cult brand Arch & Line. I Dig Denim enriches the jeans selection, for all indigo lovers. At Elias & Grace the new season is all about ticking all the right boxes: Ensuring a smooth transition between seasons, getting ready for school in style with on-trend essentials that will see them through the season and beyond. What’s trending for A/W16? It’s all about adorable clothes combining unique & functional design, carefully selected for a fresh & stylish wardrobe that really works for kids. The new banners are now live on the platform as well as updated links, please ensure that you replace !!!id!!! with your own AW affiliate ID when copying deeplinks to ensure the sale tracks. We’re looking for established kids fashion and parenting websites worldwide to partner with via the Affiliate Window Network. By referring traffic to EliasandGrace.com via banner ads, text links, product feeds and content units (all of which we’ll provide) - you can earn commission of up to 8% on sales that you helped generate. EXTRA 10% OFF SALE AT ELIAS & GRACE! 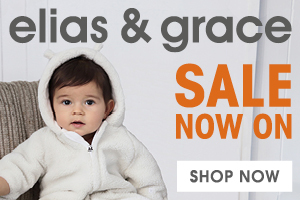 Elias & Grace is launching 10% Extra off their sale for a limited time only! Customers need to enter code before proceeding to checkout to complete their order. If you're not already part of the Elias & Grace affiliate programme, click here. Terms & Conditions: The Promotion starts at 9.00am GMT 05/08/2016 and ends at 11.59pm GMT 07/08/2016. The Promo Code applies on all orders placed online at www.eliasandgrace.com. Discount applies on sale items only and it excludes gift wrap, gift cards & shipping costs. The Promo Code cannot be combined with any other offers or promotions. Code can be used multiple times. Promotional Tools: A full suite of banners are available via the Affiliate Window interface. If you need any other promotional tools, please do not hesitate to contact me. 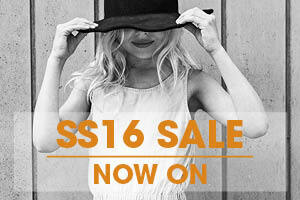 We’re happy to announce that Elias & Grace's End Of Season Sale, is live online now. All kids and babies clothes & accessories will be reduced up to 70% off, with current Spring/Summer items at a minimum of 20% off, including Chloe, Hartford, Pom d’Api & many more. Our Sale is always loved by customers, generating additional traffic and conversions, and we’re sure your readers will be thrilled by this special opportunity! Elias & Grace will feature a special Mother’s Day Promotion, as a gift to all mums, offering an exclusive 20% Off discount on all Spring/Summer 16 Collections, starting on midnight GMT Sunday 6h of March 2016. The promotion applies worldwide on all orders over £150 / €160 / $160 placed online at eliasandgrace.com and it ends 9.00am GMT Monday 7th of March 2016. To redeem the offer customers need to enter code MUMMYLOVE in the promotional code box and click apply before proceeding to the checkout. Sure that your readers will be thrilled by this unique & limited privilege, we would love you to mention us to both local and national followers and offer them the opportunity to shop stylish kidswear at special prices! We also designed some specific new banners that will be available on the platform on Friday 04/03. Elias & Grace – New Season Is Now Online! Elias & Grace introduces the New Season Collections, with exclusive edits from over 50 of the most covetable and unique designers, including Bonton, Hartford, Bellerose, Chloe and Pom d’Api. 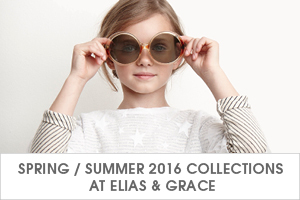 Spring/Summer 16 comes with a cute selection of NEW designers at Elias & Grace. French label Tartine Et Chocolat. Must-have baby wear from Babe & Tess, and lovely Danish brand MarMar. Vibrant swimwear by Erreqerre and upscale pieces by Parisian Lili Gaufrette: for girls only! Iconic tennis shoes by Victoria and kid proof sandals by Salt Water complete the summer's new labels to love. What’s trending for S/S16? It’s all about clothes combining unique & functional design, carefully selected for a fresh & stylish wardrobe that really works for kids. Cool prints & lovely colours dictate the mood of the season, melting with classic details and sophisticated elements, with a fun & modern twist. Easy peasy transitional pieces, such as the new denim, are everywhere & make for good Spring/Summer building blocks, great for layering up now & paring back when the sun shines. Elias & Grace will feature a special S. Valentine’s Promotion, as a gift to our new & loyal customers, offering an exclusive Free Worldwide Shipping, starting on midnight GMT Sunday 14th of February 2016. The promotion applies worldwide on all orders over £100 / €150 / $150 placed online at eliasandgrace.com and it ends midnight GMT Tuesday 16th of February 2016. 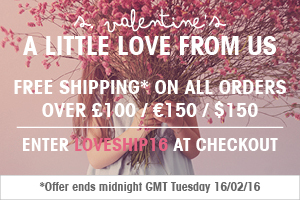 To redeem the offer customers need to enter code LOVESHIP16 in the promotional code box and click apply before proceeding to the checkout. Sure that your readers will be thrilled by this unique & limited privilege, we would love you to mention us to both local and national followers and offer them the opportunity to shop stylish kidswear and enjoy free shipping! We also designed some specific new banners that are now available on the platform. We’re happy to announce that Elias & Grace will feature a great End Of Season Sale, commencing online on December 28th 2015. 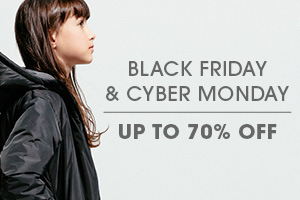 All kids and babies clothes & accessories will be reduced up to 70% off, with current Autumn/Winter items at a minimum of 20% off, including Chloe, Hartford, Pom d’Api & many more. Please do not forget to enter your Affiliate Window account ID into the above link or we will be unable to attribute your sales to your account. 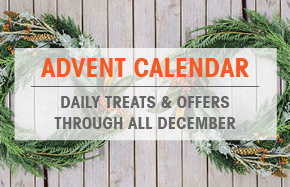 Throughout December we’ll be treating our customers with daily gifts and offers, from £500 gift card prize, to designer discounts and free shipping. 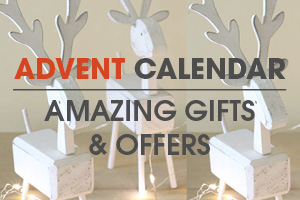 We have also created new Christmas banners, you will find generic images on the platform as well as specific ones dedicated to top offers. If you’re not joined to Elias & Grace click hereto become part of the team. Elias & Grace is the premium destination for fashionable children’s wear for ages 0-14years. We have got a Limited Time Free Shipping Offer hitting the site tonight at midnight! 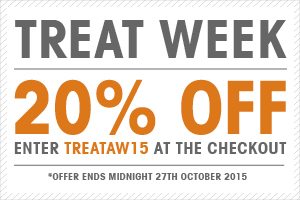 (midnight GMT Thursday 8th October 2015). The promotion applies worldwide on all orders over £150 / €150 / $150 placed online at eliasandgrace.com and it ends midnight GMT Sunday 11th October 2015. To redeem the offer customers need to enter code FREESHIP15 in the promotional code box and click apply before proceeding to the checkout. Our Free Shipping code always boost traffic, sales and conversions, so do not miss out this great opportunity to increase your earnings. Please remember to replace !!!id!!! with your Affiliate ID, and earn commissions of up to 8% on sales that you helped generate. Elias & Grace – The AW15 Looks Are Now Online! Elias & Grace introduces the exclusive Autumn / Winter 15 Looks! We have put together some cute looks for girls, boys and babies, from the leading designer brands we currently stock at www.eliasandgrace.com, including the new amazing labels we launched this season: Amelia, Someday Soon, Carrement Beau and Balloon Copenhagen. On the occasion, we designed some new banners available on the platform and we updated our text links. If you require any additional material, please get in contact we’ll be more than happy to support you with additional material and info. Elias & Grace – Free Shipping For 72hrs Only! Elias & Grace will be launching an exclusive Free Shipping offer for 72 hours only starting on midnight GMT Sunday 20th of September. The promotion applies worldwide on all orders over £150 / €150 / $150 placed online at eliasandgrace.com and it ends midnight GMT Tuesday 22nd of September. Sure that your readers will be thrilled by this unique & limited privilege, we would love you to mention us to both local and national followers and offer them the opportunity to shop stylish kidswear and enjoy free shipping! Elias & Grace – Back To School In Style! 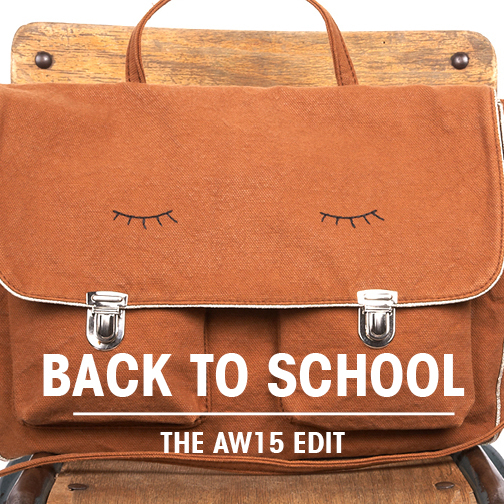 Elias & Grace introduces the ‘Too Cool For School’ edit, the ultimate trend to start the new term in style! Our hand-picked A+ grade pieces have everything covered: smart t-shirts, playground proof trousers, shoes and warm coats for kids to look & feel great, together with a cool selection of school bags, pencilcase and accessories! The new static text link is now available on the platform, please ensure that you replace !!!id!!! with your own AW affiliate ID when copying deeplinks to ensure the sale tracks. Elias & Grace introduces the Autumn / Winter 15 Collections, with handpicked edits from over 50 from the world’s most covetable kids brands including Chloe, Hartford, Bonton, Petit Bateau and many more. The New Season comes with ultra cute labels new at Elias & Grace, such as French Carrément Beau, super cool SomedaySoon and chic yet minimalist Balloon, together with our exclusive picks of accessories and shoes. At Elias & Grace the new season is all about modern heritage and clothes that really works for kids. Autumn / Winter 15 introduces traditional pieces in a contemporary cut, adding a playful and frisky twist that will take them through fall and beyond. Elias & Grace SPRING – SUMMER SALE! 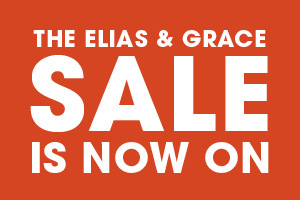 It’s finally Sale Time at Elias & Grace, and we’re now offering up to 70% OFF selected styles. The sale features the best selection of children’s wear products from our handpicked designers, including iconic labels Chloe, Hartford, Pepe, Miller and many more. New Sale Banners available on the platform, as well as links. We’re looking for established kids fashion and parenting websites in the UK, Europe and United States to partner with via the Affiliate Window Network. By referring traffic to EliasandGrace.com via banner ads, text links, product feeds and content units (all of which we’ll provide) - you can earn commission of up to 8% on sales that you helped generate. We're also looking for online partners for co-marketing initiatives targetted on building our opt-in email contact database. Within tracking links please ensure that you replace !!!id!!! with your own AW affiliate ID when copying deeplinks to ensure the sale tracks. We only run this event once per season and we will offer a 20% Off all SS15 collections including luxury designers as Chloe, I Love Gorgeous, Petit Bateau and many more, with promo code TREATSS15. This is an incredible opportunity for your readers to shop at eliasandgrace.com and enjoy 20% off all their favourite designers! 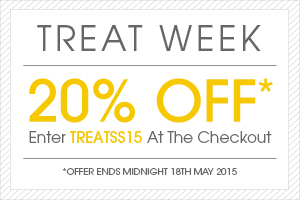 The offer starts midnight GMT Monday 11th May 2015, and ends midnight GMT Monday 18th 2015. 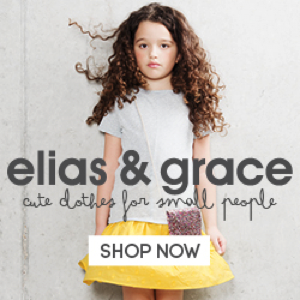 Elias & Grace – The UK’s cutest kids fashion looks – now live on Affiliate Window! We're delighted to announce the launch of the new Elias & Grace affiliate program on Affiliate Window. Handpicked edits from over fifty of the worlds most covetable and unique designer kids brands, including iconic labels such as Bonton, Bonpoint, Chloe, Little Marc Jacobs, Hartford, Petit Bateau. 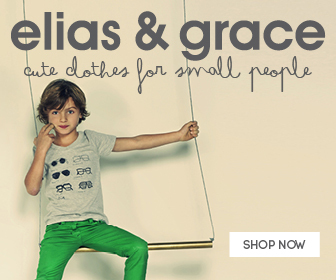 Elias and Grace is the premier destination for chic children's wear for ages 0-14 yrs. Seasonally we present new children’s design talent, the season's hottest kids clothing trends, inspirational looks and gorgeous online editorial. We’re international, offering payment options in GBP, USD and EUR. We ship to over 200 countries and unlike our competitors we ALWAYS offer FREE UK RETURNS. WHY PROMOTE ELIAS & GRACE? Sales Support: Weekly newsletter to keep you up to date with the latest bestsellers, new arrivals and kids fashion trends. Custom content including imagery, blog content, banner creative and exclusive promotion codes. High Conversion Rates: We’re currently offering up to 70% off in our Summer Sale and conversion rates have sky rocketed! Custom Creative: Let us know if there’s a specific size or type of banner we can help you with, or select from our wide selection within Darwin. LAUNCH INCENTIVE: WIN A TRULY RELAXING LONG WEEKEND BREAK IN A STUNNING FRENCH VILLA SLEEPING 18. OR £200 TO SPEND ON THE MILLER AW14 COLLECTION! We’ve a fantastic incentive lined up for August and September - open to all affiliates. Or do all 3 for an extra 3 bonus entries! Send a screenshot or a link to your content to press@eliasandgrace.com to enter.